It's clear that there are driving forces behind both Lego's rise and Barbie's decline in sales: entertainment. Movies make such a huge impact on kids, and while it's nothing new, it's also something that won't change anytime soon. There's lots of buzz surrounding the sales decline of Mattel's Barbie, a brand that has been the go-to for doll-lovers for decades. Additionally, for the first time ever, international construction toy manufacturer Lego has topped Mattel in revenue. While both of these stats seem dramatic, let's look at these changes from a non-investor prospective. Barbie has been around for decades. She was the first doll I ever owned, and she remained my first choice during playtime for years. Similarly, she was a staple in our household as my three daughters grew up. Sometimes, Barbie was a dancer, sometimes she was a veterinarian, and other times, she was the perfect housewife -- and that's what was -- and still is -- great about Barbie: she's whoever you want her to be. Today's kids have lots of choices, but Barbie is a billion dollar franchise that continues to stand the test of time -- despite a dip in sales. It's no secret that Mattel owns the doll aisle, and while you always see the subtle red logo on the bottom corner of Barbie's box, you may have missed it on Monster High, Ever After High, or the Disney Princess collection. That's right -- Mattel holds the 12-inch doll rights to all of these brands. However, if none of these interest the 3- to 8-year-old you are purchasing a doll for, there is one option that little girl is sure to love: Elsa. Disney Frozen has swept the nation, with kids clamoring for any licensed products they can get their little hands on. 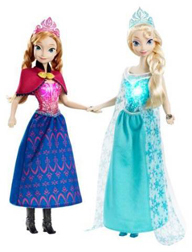 Mattel also has the rights to produce 12-inch dolls based on Disney Frozen, the hottest property this year (and probably next). Frozen dolls, specifically Anna and Elsa, are drastically cutting into Barbie's sales, as well as Mattel's other brands. But am I worried about Barbie? Not for a minute! We have both had our ups and downs in life, and we are both more powerful woman because of it! Barbie will continue to stand the test of time and I expect to share Barbie with my grandchildren and great grandchildren, just like I did with my babies. Even with Frozen sales soaring month after month, Mattel's overall revenue did in fact decline, making way for Lego to take its place as the No. 1 toy manufacturer in the world. But there are other factors involved. 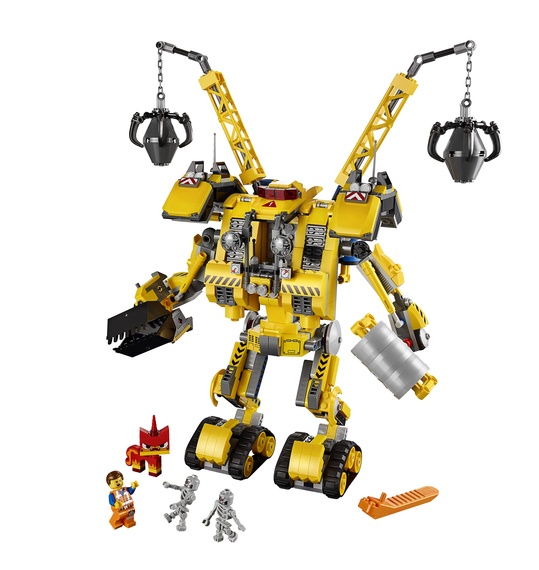 Lego is a 65-year-old company that deals primarily in only one toy category for years: construction. This has been the largest growth category in the toy industry and Lego owns 65 percent of that market, which is pretty amazing with just the one category. When you look at the largest toy companies, such as Mattel, they have expanded lines across the board -- including games, dolls, action figures, play sets, puzzles, and more. And while Lego is still in the brick business, their licensing partners have increased the offerings to consumers. 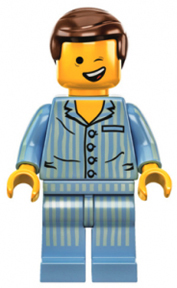 Earlier this year, the company's The Lego Movie hit theaters and took the world by storm. Thanks to this new entertainment franchise, Lego and their partners were able to produce a huge new line of products. Not to mention, the majority of Lego sets on shelf are licensed, featuring characters like Batman, Superman, and Disney Princesses. Licensing rights cost big bucks -- but with the Lego Movie, Lego already owns all of the rights, making the profit margin much larger. Additionally, Lego customers are extremely loyal. Once toddlers are introduced to the Duplo line, they are hooked. Parents already know and appreciate the importance of construction toys and the "brick" is synonymous with the Lego name, since it is, afterall, the original. From little kids, to junior builders to budding architectural engineers, Lego has something for everyone. It's clear that there are driving forces behind both Lego's rise and Barbie's decline in sales: entertainment. Movies make such a huge impact on kids, and while it's nothing new, it's also something that won't change anytime soon. While Lego's numbers are slightly above Mattel's, both companies have quite the holiday lineup. So who will wear the crown at the end of 2014 is yet to be seen, but from my perspective, both companies are top dogs!